Dealing with a broken tooth is a common experience for parents, and knowing what to do can minimize the damage and make the experience less frightening for your child (and for you). You should contact your child’s dentist immediately, even if the tooth is not a permanent one, because once a tooth has been broken, bacteria can enter the pulp or nerve of the tooth and cause an infection. Rinse your child’s mouth with water and put a cold compress on his or her face to prevent swelling. 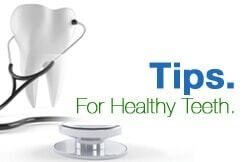 If possible, bring the broken tooth or fragment with you to the dentist. If a baby tooth is knocked out, don’t try to replant it because that could damage the permanent tooth coming in behind it. If a permanent tooth is knocked out, you want to replant it as quickly as possible. Put the tooth back in the socket and have your child bite down gently, or put it in a clean container with milk or water to keep it moist and contact your child’s dentist immediately. CT Pediatric Dentistry, a team of pediatric professionals with offices in West Hartford, North Windham, and Unionville, offers restoration, cosmetic, and emergency services for children of all ages. We offer an after-hours emergency hotline at 860-523-4213 with a dentist on call to assess your child’s need and determine the best course of action. We handle all kinds of dental emergencies, including broken teeth, knocked out teeth, acute toothaches, and displaced teeth. We offer children’s dentistry for kids of all ages and recommend a first visit before your child’s first birthday. During your child’s first visit, we’ll introduce him or her to dental cleaning and give your child the opportunity to become comfortable in the new surroundings. And we are on call 24/7 for every dental emergency, including broken teeth. Please call our main office in West Hartford at 860-523-4213 to set up an appointment for your child and keep the number handy for emergency service. It’s what to do if your child breaks a tooth.